If you ask a group of Japanese children what their favorite dessert it, I can almost guarantee several of them will say “purin/ぷりん”! Purin is not pudding… the texture is more jello-like, but not as bouncy. It is similar to a flan, but better! My dad asks for purin every year for his birthday. Recently, I have been really enjoying Nami‘s blog, “Just One Cookbook“. Nami makes the most delicious-looking Japanese food, and posts clear, easy-to-follow instructions. I have made her tonkatsu and it was the best I’ve ever made! 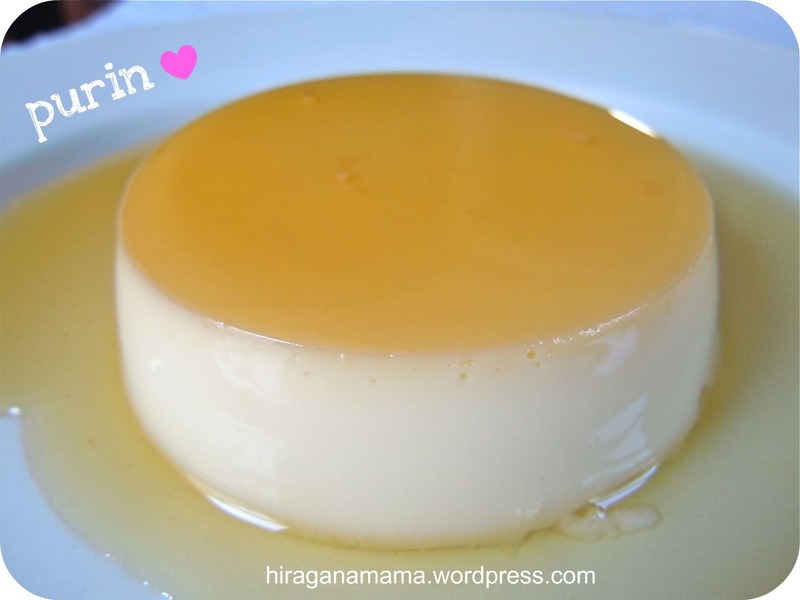 When I found her recipe for purin(creme caramel), I knew I had to try it right away. I was intrigued by the use of gelatin and that it required no baking. 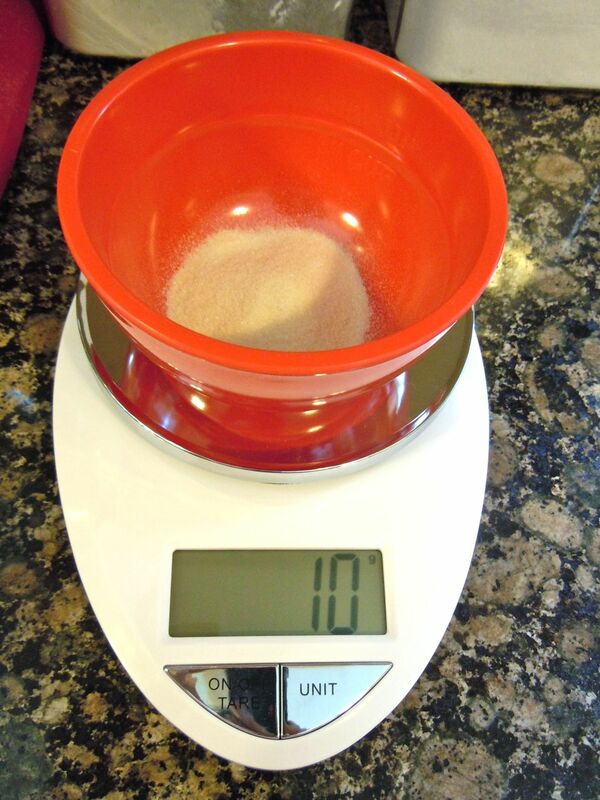 A food scale is a MUST for Japanese cooking! Thanks mom for getting me this one. 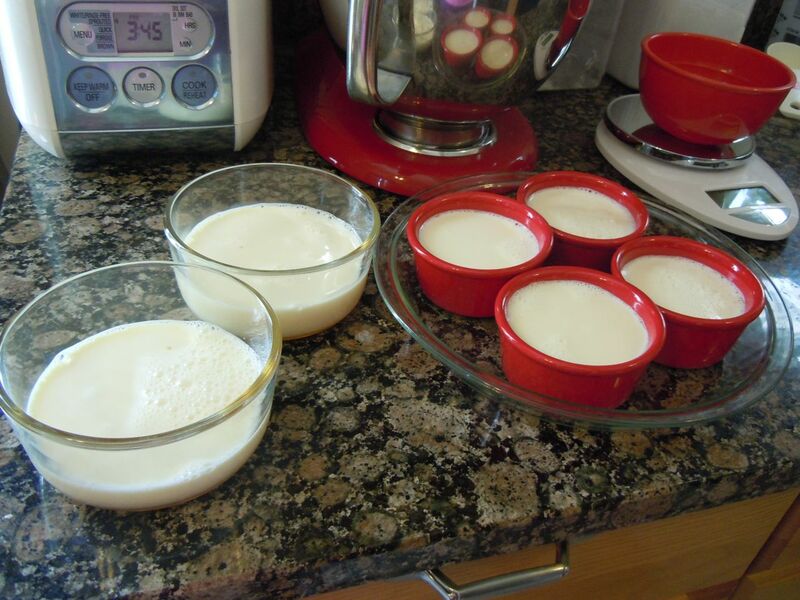 Making purin is maybe not for the kitchen novice or someone who hates washing dishes. But holy cow… the purin turned out AMAZING! It was better than store-bought for sure. I had to exercise extreme self-control to not eat the entire batch in one sitting. (Confession: It is Day 2 and it’s all gone). The taste and texture were perfect and the caramel sauce was divine! Purin, ready to be enjoyed! I’m already thinking about when I want to make purin again. I have a feeling I’ll be making purin many more times this year! My kids, of course, loved it too and licked up every last drop of it then chanted “More purin!”. Thanks Nami for an awesome recipe! I am seriously planning to try almost every recipe she has shared. If you love Japanese food, I know you too will love her blog. Check it out!